To navigate Sécurité Landry, you must accept the terms and condition outlined in our contract in its entirety. From the time you start browsing, you are bound to this contract. You’ve thus recognized, read and understood these conditions and are bound to them. If you do not wish to be bound, you can not use or make purchases from the site. If you do not want to be bound by this contract, do not navigate Sécurité Landry. The terms and conditions of this contract may change. In such case, the new contract begins immediately. Sécurité Landry operates the Site from its offices located in Canada. Sécurité Landry does not advertise to the fact that elements of the Site can used elsewhere than Canada and it is unlawful to navigate through the Site in places where the law forbids it. Those who decide to use the Site do it of their own accord and it is their responsibility to respect the laws of the land wherein they reside. All claims related to the Site and elements contained within, or stemming from using the site, are overseen by the applicable laws inherent to the land of the province of Quebec. The Trademarks and logos used on the Site or displayed therein are either registered trademarks or not by Sécurité Landry third party vendors. Nothing within the Site can be interpreted in a manner to allow the direct or indirect usage of a trademark displayed on the Site with prior written consent from the owner of said trademark. All content regardless of its nature, be it textual, illustrations, pictures, images, or video, that are displayed in the store are protected by copyright laws as well those laws associated with intellectual ownership and so, worldwide. Nothing from Sécurité Landry.com can be reproduced, copied, distributed, translated, downloaded, displayed or transmitted by any means with prior written consent from Sécurité Landry or the owner of the copyright. You are allowed to display or download elements from Sécurité Landry, but only for non-commercial use and providing you do not modify the elements and that you retain all inherent notices of intellectual ownership contained therein. All unauthorised usage of said content may carry a civil suit and/or criminal prosecution. In no event will Sécurité Landry inc or its affiliates, or any person or party involved in creating, producing or delivering this website, or on any site linked to this website, be liable in any manner whatsoever for any direct, incidental, consequential, (including lost profits, loss of business or data, business interruption, trading losses) indirect, special, exemplary or punitive damages arising out of or in an any way related to the website or any site linked to the website or your access, use or inability to use the website or any site linked to the website, or in connection with any failure of performance, error, omission, interruption, defect, delay in operation or transmission, computer virus or line or system failure. The above shall apply even if Sécurité Landry or any third party has been advised of the possibility of such damages or losses. Sécurité Landry and its stores provide links to other corporate websites and other companies. Sécurité Landry and its stores are in no way or matter responsible of verifying, assessing, or guarantying the sales offers from these companies or individuals, nor the content of their websites. Sécurité Landry and its stores assume any responsibility for the acts, products, or content of the aforementioned or any third-party vendor. We recommend that you closely read their confidentiality declarations, terms & conditions as well as any other sales condition. If you are registered on the Site, you are responsible of maintaining the confidentiality of your identity, your account, your password, limit access to your computer, and you are also of assuming the responsibility of the completed transactions in your account with the protection of a password. In the case where the confidentiality of this information is compromised, please advise our service as soon as possible in order to avoid any fraudulent usage of your Sécurité Landry identity. Sécurité Landry will not be held responsible for any loss or damage ensuing from non-respect of the security measures detailed in this section. Sécurité Landry provides you with a limited authorisation to access the Site and use it on a personal basis, but without downloading it (except to keep some pages in memory) or modifying it, even partially, unless you have been granted written permission to do so by Sécurité Landry This authorisation excludes: the resale or commercial usage of Sécurité Landry., of its content or content of its stores; the utilisation of product lists, descriptions or prices; all utilisation derived from the Sécurité Landry site or its content; all downloads or copies of information regarding accounts for the benefit of a third party; any utilisation of exploration, collection, or data extraction tools.  Sécurité Landry site cannot be reproduced, in part or in whole, copied, resold, visited, or exploited for commercial ends without the written consent of Sécurité Landry. You do not have the authorisation to use meta tags or any other cached text that use the name or registered trademarks of Sécurité Landry without the written consent of Sécurité Landry. However, you may create a hypertext link that leads to the Sécurité Landry’s or one of its stores home page as long as this link does not present Sécurité Landry, its affiliates, its stores, its products, or services in a fraudulent, false, defamatory or otherwise prejudicial way. The present contract related to the terms and conditions are governed by Quebec’s applicable laws. You recognize by these conditions that all litigation that might ensue from or be associated with using the services and websites of Sécurité Landry are governed by the jurisdiction of the courts of Joliette, province of Quebec. By the present agreement, you agree not to enact a fact or cause on behalf of Sécurité Landry in the case wherein a lawsuit is launched against the said Company following the violation of the aforementioned terms & conditions by you or any other person who used your account on Sécurité Landry. Sécurité Landry shall not be held liable for non-performance, in whole or in part, of any of its obligations whatsoever toward you, nor for damages or losses you may suffer, if such non-performance, damages or losses result from an Act of God or from circumstances beyond its control.